We start off with some relaxation in the early morning with Theon. Then a snow day is announced! Woo! Then I got this popup as everyone was starting their morning. Yeah, I didn’t actually know that the ghost chili pepper dishes could cause a fire. 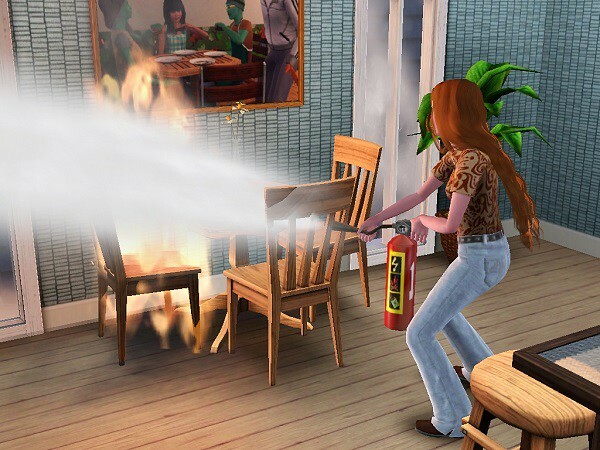 O.O That’s some flammable burping. Daenerys quickly put the fire out herself. But not before everyone else was freaking out. Yes, but that you clearly are not. Too spicy, huh? 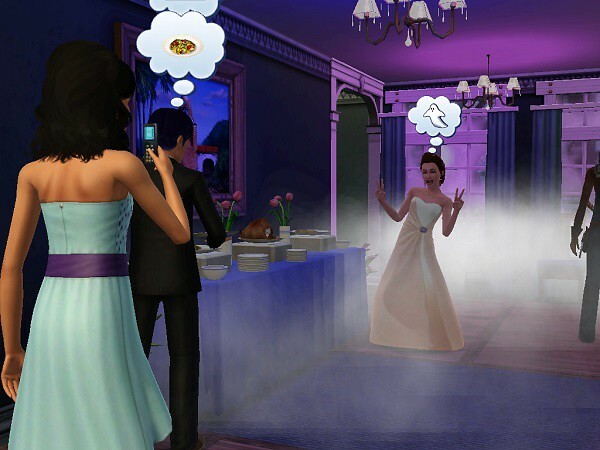 Lol, I love the little moodlet picture, though. And while I remember, Daenerys’ teen trait is charismatic. 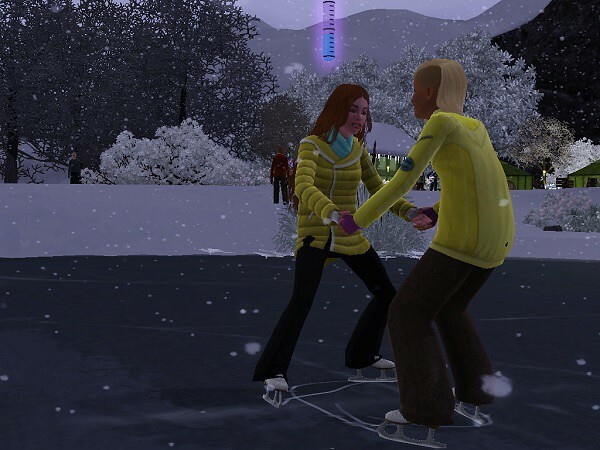 With that crisis averted, it’s time to start having a fun snow day. I sent everyone out to this little fishing spot in the farmlands. And, yeah, this is around noontime. Winter is so dark this season! 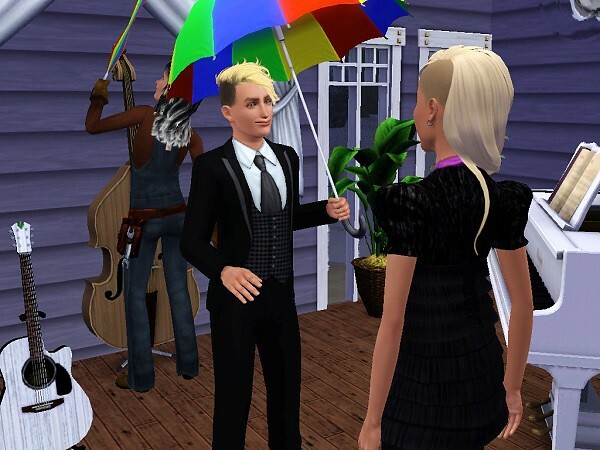 Then Tristan showed up because Sansa had invited him. And I got a popup that his girlfriend just had a baby, which is when I got a little mad at him. I don’t mind breaking up a couple, and it’s almost necessary with Nraas story progression, but if someone has kids it kinda bothers me. Tristan also isn’t supernatural in any way, and with Sansa’s supernatural fan trait I would have preferred someone who was. So I had Sansa leave the outing in search of an available witch. I found our next target at the dog park on the city side. I found this witch named Clifford Marks. He is really handsome, buuuuuut I have to admit that he is Christine’s cousin. D: Clifford is Gwen’s sister Tonya’s son. He looks exactly like his father, Ivan, but he does have the same hair color as Gwen, which I find kind of squick. My search continues. On a better note, Kim had her baby! Aww, another little boy for her, and her second kid with Zee. 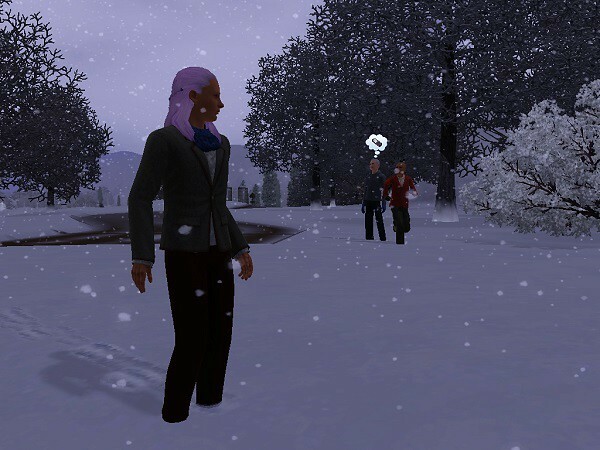 The next day is Snowflake Day, so the teens get another day off from school. 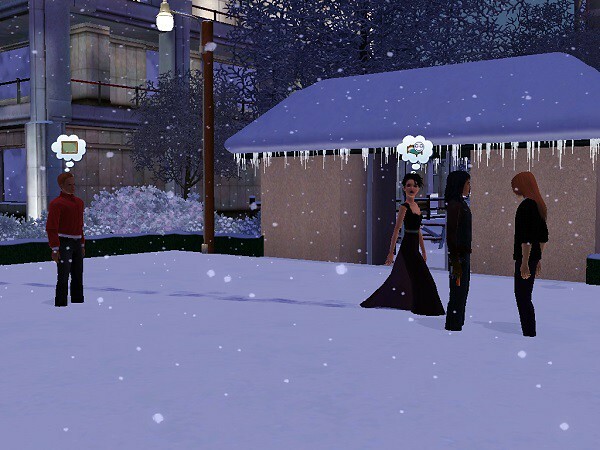 Popups told me that a Simfest was starting, so Theon, Brienne, and Daenerys went to check it out. No performers ever showed up, though. I guess all Showtime performances are just glitched in this save? Yeah, but they’re still having fun, so I let them watch for a little while. 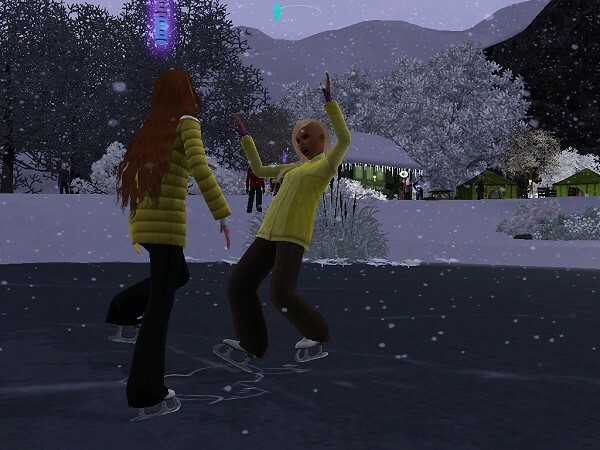 Not for too long, as it’s time for the Snowflake Day Dance! 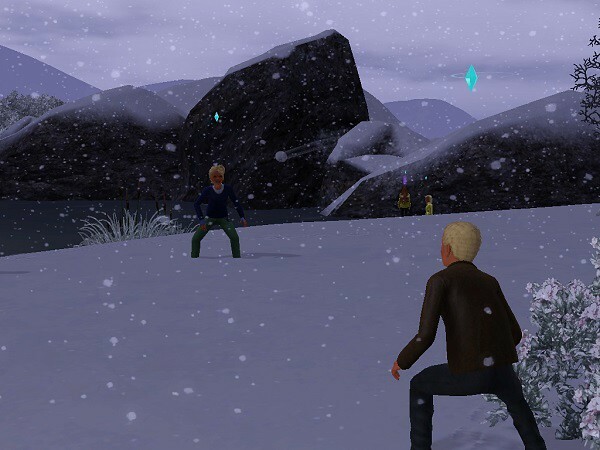 Townies got stuck at the entrance just like last time. I was able to mostly resolve this by having Brienne “call over” as many teens as she could. Theon avoids everyone for bubbles. He immediately learns how to blow them out his nose. 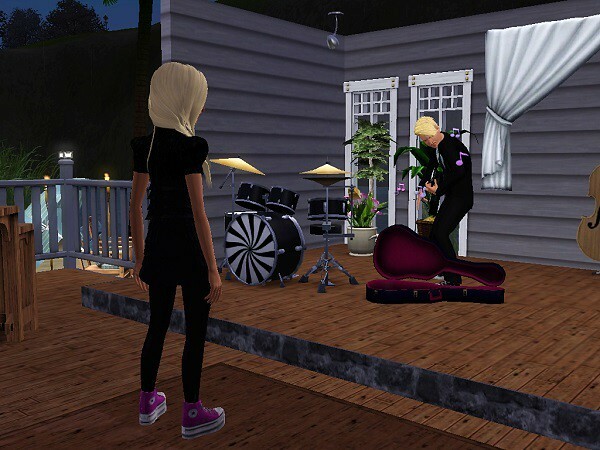 Daenerys got Deshaun, my Simself’s son, to sing karaoke with her. 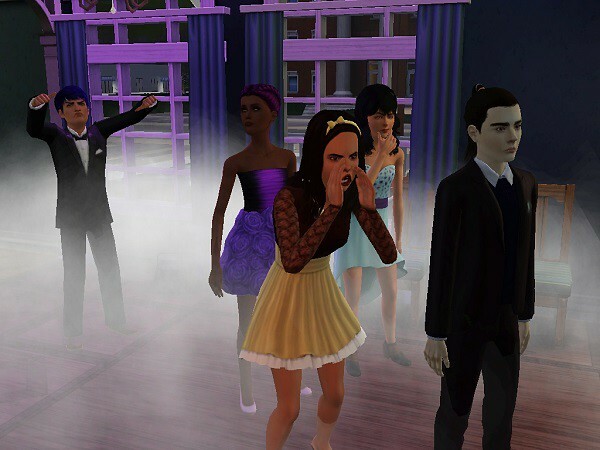 Everyone was pissed at the terrible voices filling the room. They’re not wrong; it really was bad. Heath Diffy-Smith wandered outside to the band setup and grabbed a guitar. 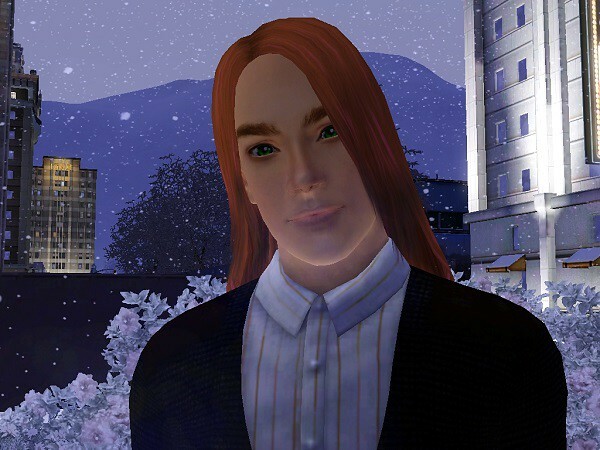 For those curious about the Diffy-Smith, he is descended from Jane (Kim’s sister) and Wendy from generation five. Brienne went out, entranced by his skills. So she goes to talk to him, as a chaperone hurriedly rushes out here to watch over them. Theon meets Kizzy on the balcony. Back inside, Danny is desperately trying to get everyone to have fun. 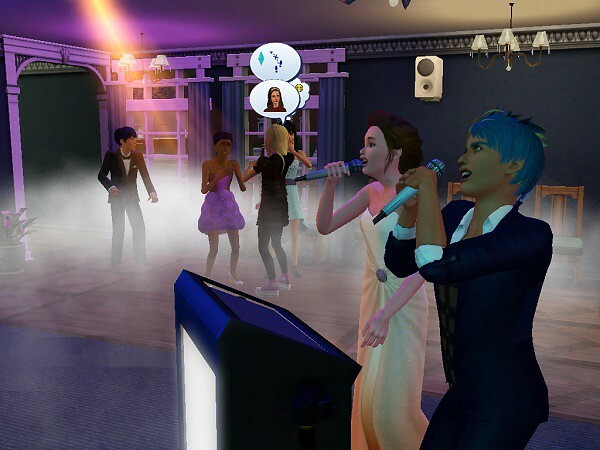 Everyone else is still really mad about people using the karaoke machine. Theon made some quick drinks at the bar for Kizzy. Kizzy desperately attempted to avoid Theon by derping out when she finally stood up. Danny is still just having fun and has started dancing with Monty Downes, one of Ben’s sons. This pic is here because teen Danny is gorgeous! This teen decided that homework just couldn’t wait. Heath returned to the main building in an attempt to eat. Of course I had Brienne spam him with interactions, but it wasn’t going all that well. Daenerys posed for pictures that Brie Cassat will use to gain Simstagram followers. Then tries to show that celebrities are real people, too. 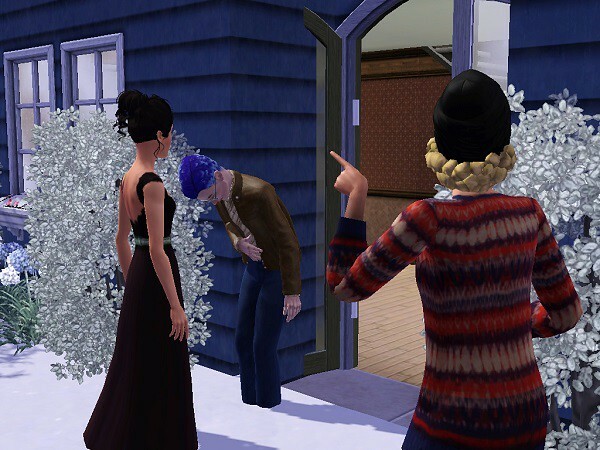 Theon finally goes to talk to Mitzi right as Christine shows up to pick up the kids/because it’s getting late and I don’t want them to get busted by the curfew police. 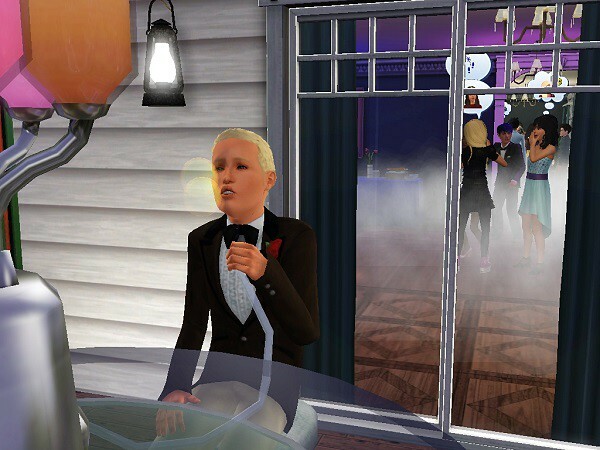 After her embarrassing chat with Heath, Brienne has turned to the bubbles for the last few minutes of the dance. But as he’s leaving, he heartfarts with Brienne. This is kind of a big deal to me because I have a mod that makes attraction much rarer than normal and I haven’t actually seen a heartfart in my game for a long time. Anyways, thus ends the dance. I’m much happier with this one because nothing really happened during Jon and Sansa’s dance and I didn’t take many pictures. I think this one turned out much better. 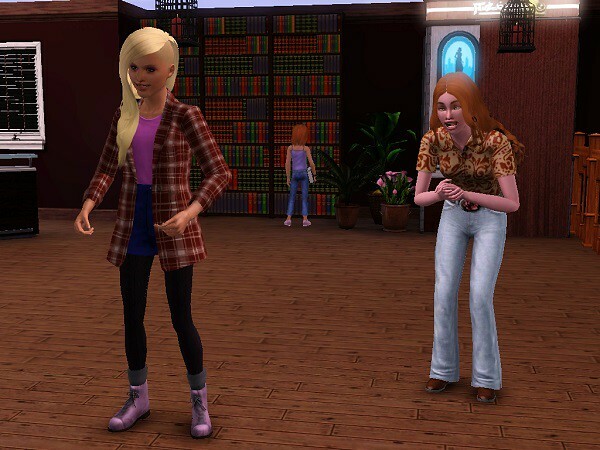 During the dance, Sansa has been skilling at the library, where I saw Gloria Dutiel from My Way (she’s also from Chaos Theory and Pleasant Oaks Asylum, which are all great reads!). 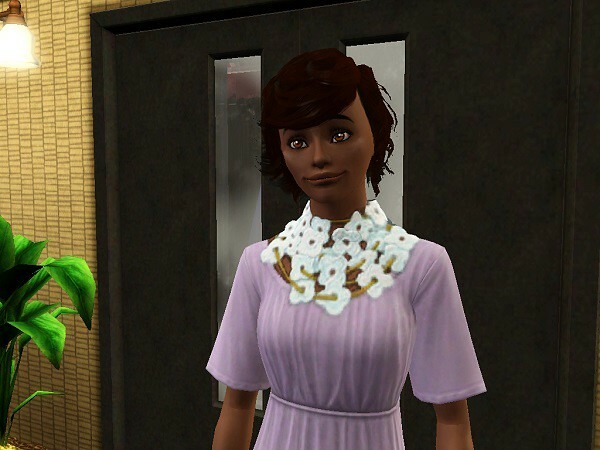 Gloria and her sister Grace have recently moved into town. 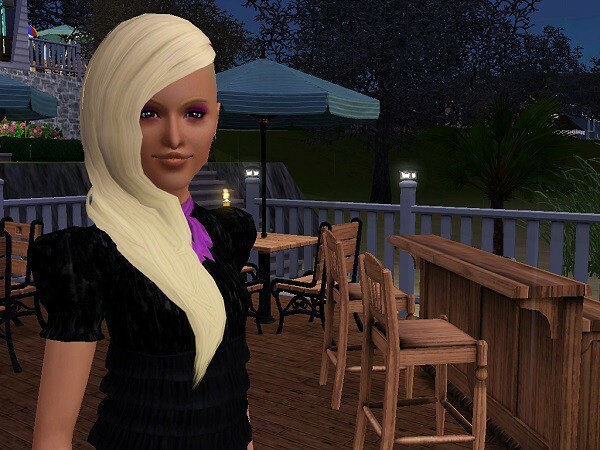 She also went out and met Beckett Bell, a Sim that I placed in town just for her. 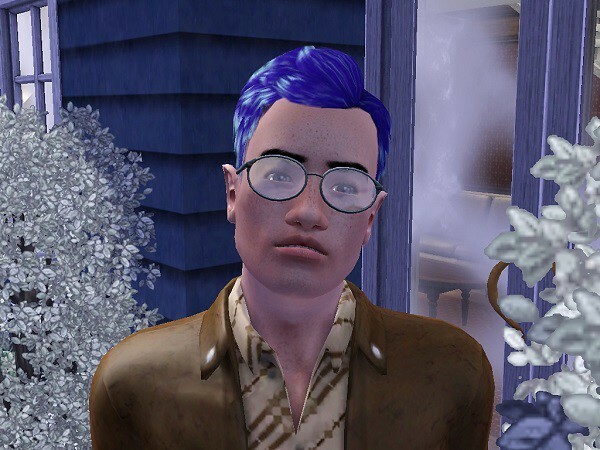 He is a witch, but I did randomize his traits and he randomly got proper! 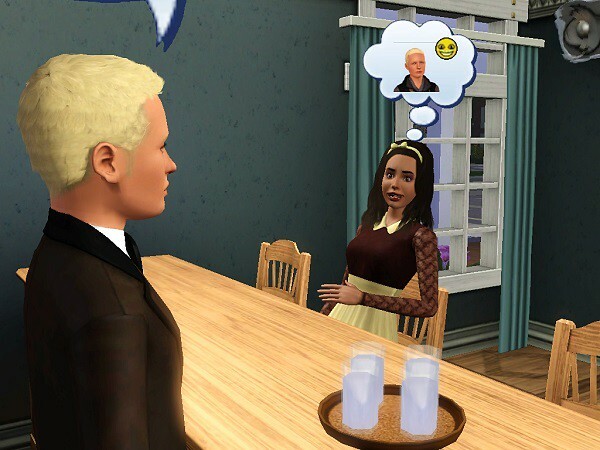 Sansa also gets the cutest little moodlet about socializing with a supernatural while talking to him. 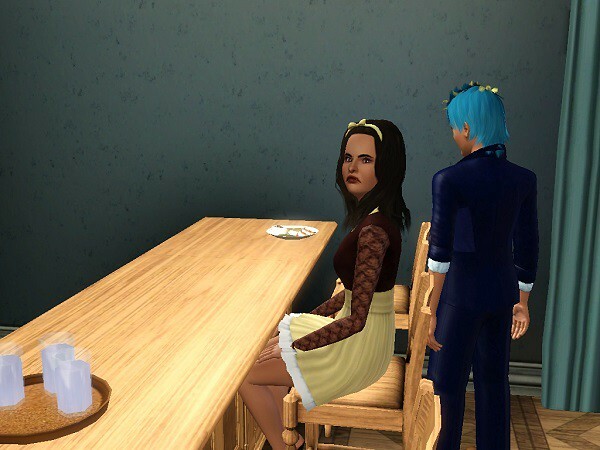 My only thing is that I prefer for my Sims to hook up with Sims that I didn’t create myself because it just feels more organic/less forced. Please let me know what you guys opinions are. 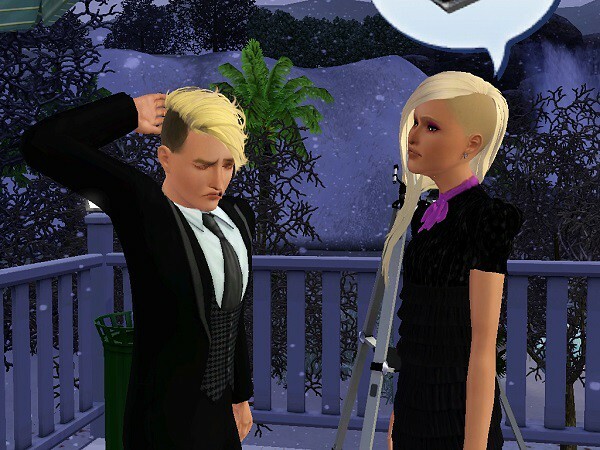 Should I break up Tristan’s family for his handsome genetics? Go after the single and witchy Clifford Marks even though it’s squick? Or how about Beckett Bell, the witch that I created myself? Or should we forget these frustrating men and steal Julie from Jon Snow? Don’t play with me, I will do it! Theon was awakened by a ghost in his bedroom, and since he was really hungry anyway, I sent him downstairs for something to eat instead of going immediately back to bed. He stopped at the bottom of the stairs. He stopped again after walking only a few feet. He stopped again after putting his bowl of yogurt on the table. Next time: A visitor comes to see Christine. Lol, I really loved the scene where Theon did everything he could to gain Kizzy’s attention. It feels like he was really involved. 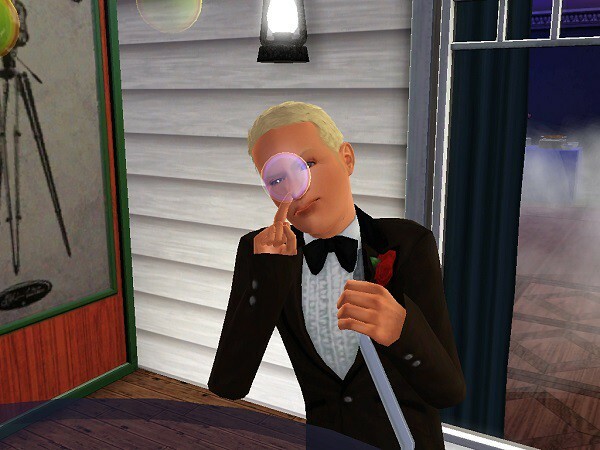 Well, everyone seems to be in search of a romantic interest here. I agree, Danny is super pretty. In fact, I think that all of them are. Soo, I’d go for Beckett Bell. Going after her cousin would be weird, just as for a guy who got a child. 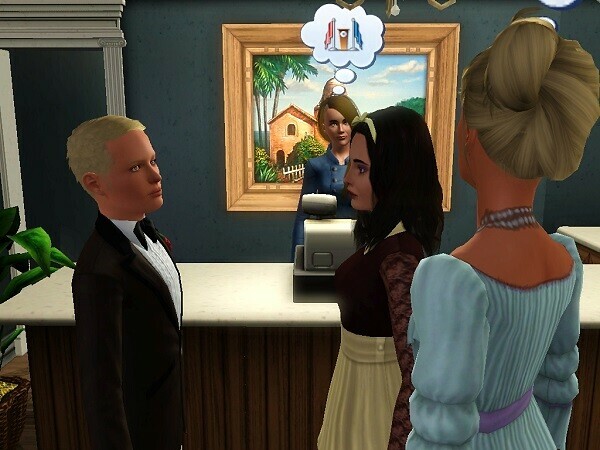 I don’t see anything wrong with choosing your own Sims for your heirs’ romantic interests. 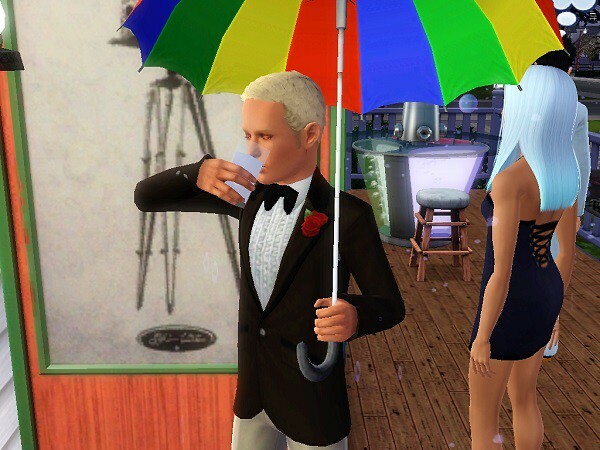 But that might be because I only play with my own Sims as the parents for my heirs. But after all , yours is a randomacy, so I get you. I don’t know, maybe grab a guy from someone else and make him a witch? I’ve got some Sam’s distant cousins if you want. They happen to be explorers in my game, taken randomly out of my library, lol. Poor Theon, traumatized by ghosts! Glad you liked it! He really was trying to please her, but the teenage hormones were really raging at this dance, too. Aww, I think they’re all super pretty, too. 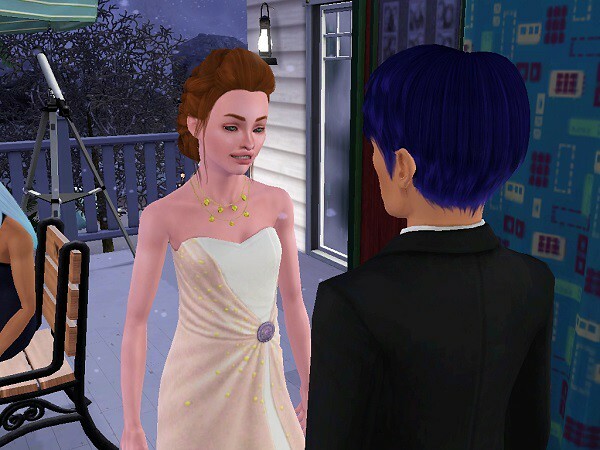 ^^ I’m just still in shock that I got an adopted kid as gorgeous as Danny in the sims. I keep a huge page of downloads on my blog. I like to have a backup in case anything happens. 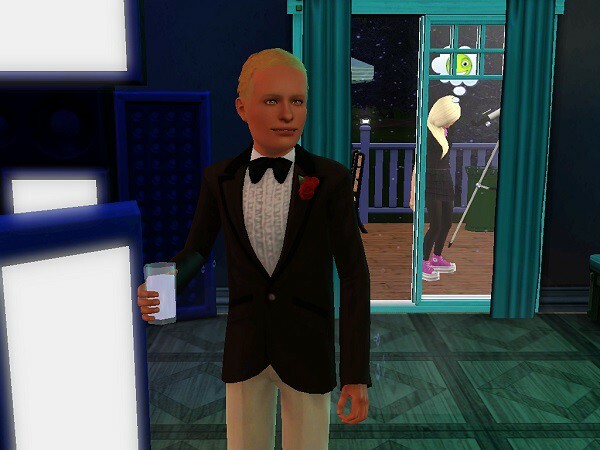 It’s here if you wish: https://neverdoitagain.wordpress.com/download-a-character/ If you don’t want the CC, just download a Sim, take off what is listed below him on the page and then save the clean version. Then uninstall and you’ll be fine. They only wear packages. Unfortunately, atm I don’t have .sim files, will have to think about it. I was just wondering if you had them up for download after you said that! There are quite a few gorgeous simmies there. *_* I will definitely have to download some when I play again. Oh yup, I was feeling really bad about knowing I will never have a chance to play them. 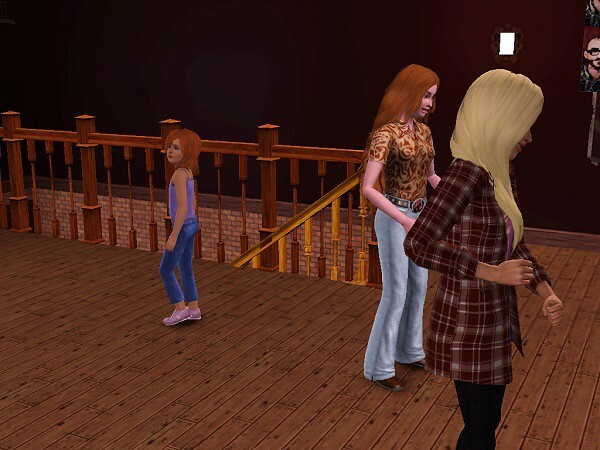 Some of them are weird mixtures of Twinbrook’s townies and I placed them there because SP paired them up with my Sims. 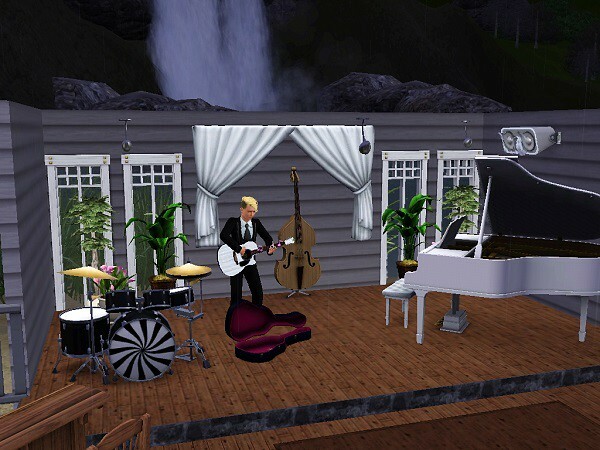 Actually, for some reason I packed the whole Helgason (from Aurora Skies) family tree along with my Sims. 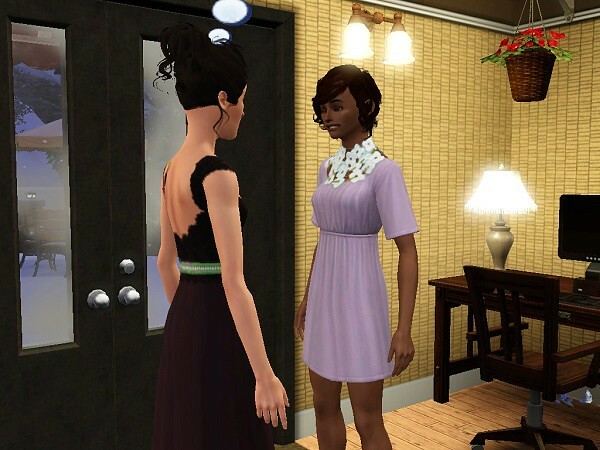 So two sisters Wendy and Mildred are paired up with my Sims. 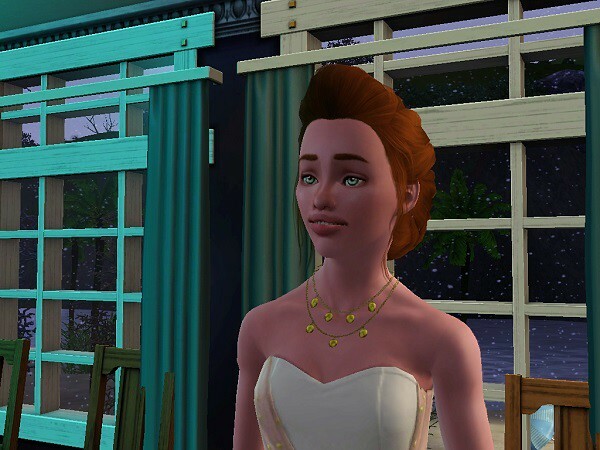 Sometimes I really just feel like my heirs all have the ugliest children out there! Gloria!! I got really excited to see her 😀 You made her look so pretty, and I love that outfit for her. The Daenerys & fire picture after the ghost chili incident made me laugh so hard XD That was awesome! I’m so glad to have her and Grace in my game. 😀 They are going to make some gorgeous kids. I really want to finally have some supernatural babies. And Beckett got proper, which definitely gives him a plus. I think the only thing that bothers me about Clifford is that I’ve already seen that hair color in this family. But he’s sooo handsome! Breaking up couples doesn’t really bother me, it’s only when they have kids. But even then, I’m sure I’d get over it. xD Tristan is pretty handsome. If he was a supernatural too I think I’d have no question about choosing him. Heartfarts xD I love that. 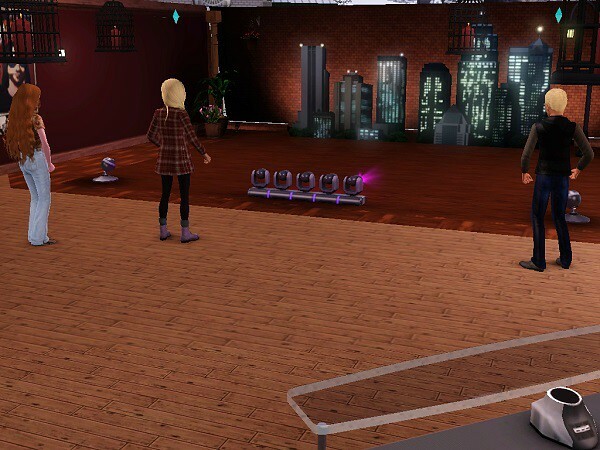 I should really get that mod, they super annoy me, though it’s kind of amusing when for shoots you have two of the same sim, or two (in the save unrelated) sims that start fancying each other. Like noooooo don’t be gross game! Why not play the field with sansa a bit? She can cover her bases right? 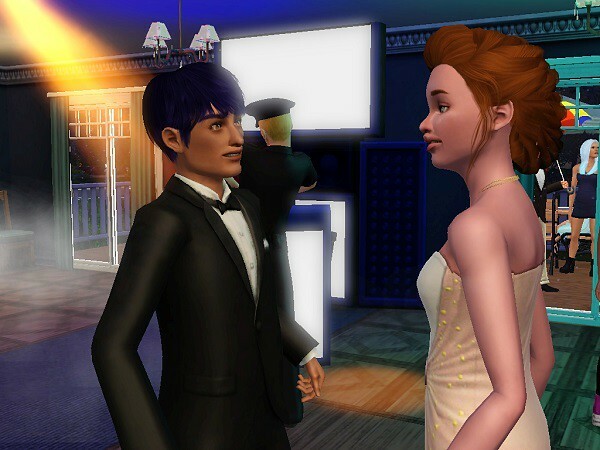 Flirt with the others a bit and keep her options open, see if there are any other handsome townies around! If she is unsuccessful, my vote would be for anyone but the squick dude, which is a great word by the way. I really should do that. 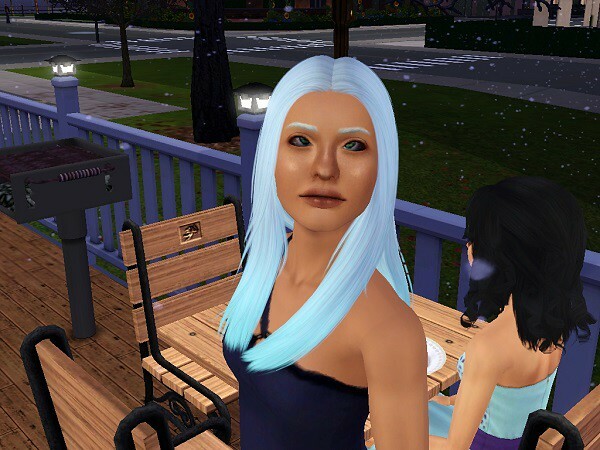 I think her supernatural trait is throwing me off because I suddenly got the idea of hooking her up with a supernatural, which severely limits her dating pool. Most of the supernaturals in my town seem to be women, which actually could be interesting to explore with Sansa. So far she hasn’t had any romantic wishes for these guys, but did wish to become good friends with Clifford and Beckett. I really like Theon’s eyes. He has that smoldering look (or is it just a high look? XD) from his father. 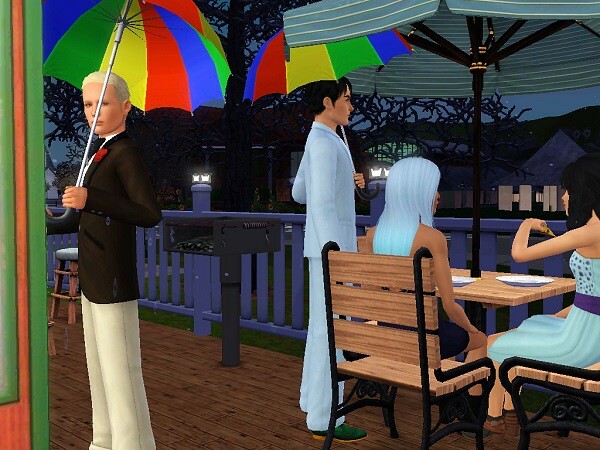 I love neurotic Sims, too. He’s always wishing to clean the dishes. I think Sansa will keep looking for now. 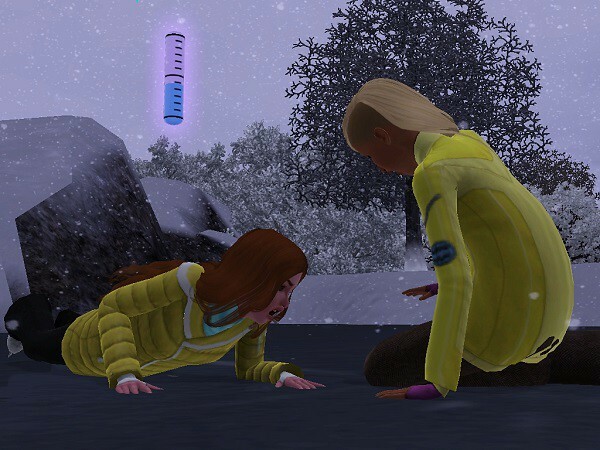 I should stop pushing her, but I just love sim babies and I want to bring in the final generation! 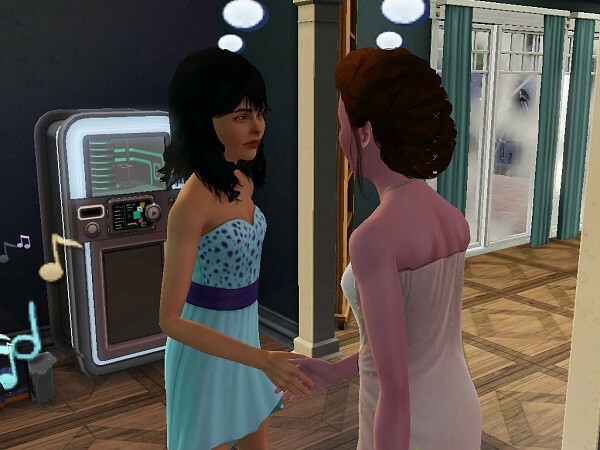 Heartfarts mod! I completely forgot about that, it’s so brilliant. Ofcourse the mother of chilidragons starts fires with her burps. That makes a lot of sense. Teenparty was great, but does this mean that Brienne and Monty are meant to be? Poor Sansa has so many men to choose from, but I really like Frogsnacks suggestion. Or, you know, delete Tristans baby. Yep! 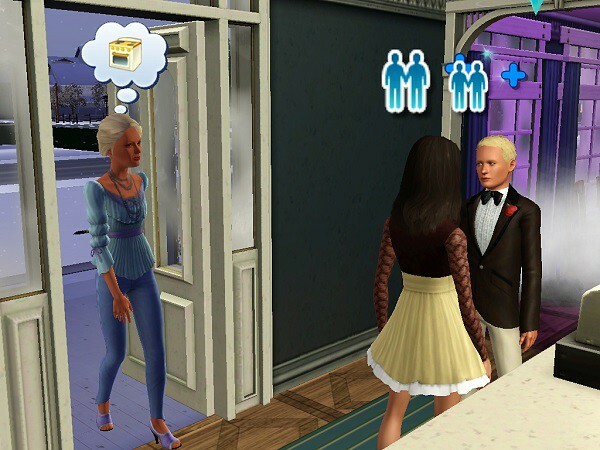 It’s annoying when they are attracted to everyone. It just loses meaning. We’ll see Monty again next time. Brienne has already made a good first impression on him. That’s a good point about her not being the type to break up a couple, I totally agree. Glad you liked it! Grace is so pretty! XD Theon freaking out over all the ghosts. By the rate he was going I’m surprised he didn’t die! 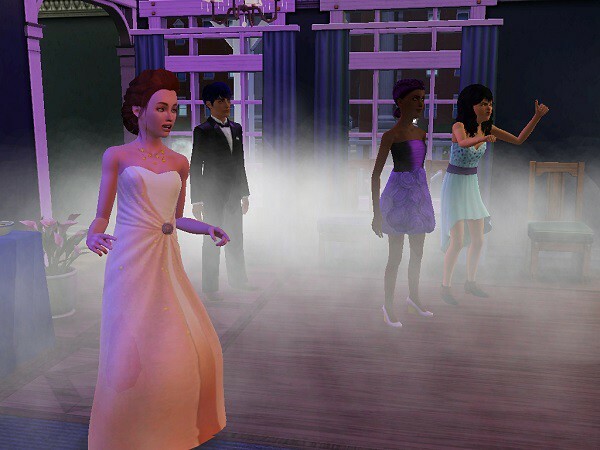 Loved the party, even though nothing really went well for anybody in the romance department. 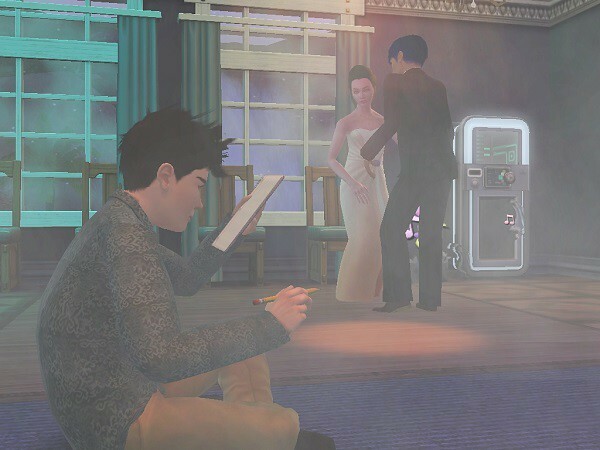 I had fun with the party, but it was a fail as far as romance goes, lol. I love Danny! Really wasn’t expecting that heartfart. I don’t think Brienne and him had even interacted before that. Lol, poor Theon! 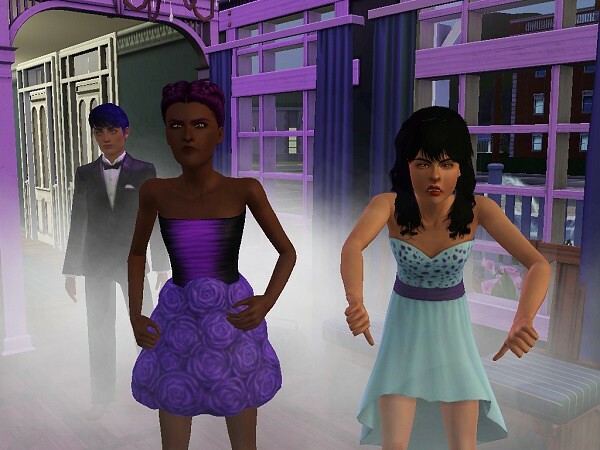 Getting kinda rejected by Kizzy and having to deal with terrifying ghosts! That was not a good night for him, lol! Sansa has probably chosen her baby daddy by now, but I’ll throw my two cents anyway lol: I’d probably go for Beckett, although I get your hesitation..! I used that same mod from MTS! Not the easy version though, the normal Variety one. 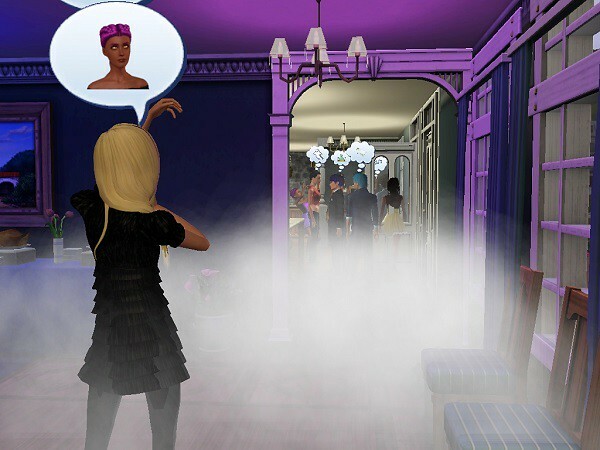 I know you’re way past this, and it seems from the other comments that you let the sim give you a sign who she picked – that’s how I would have gone, too! 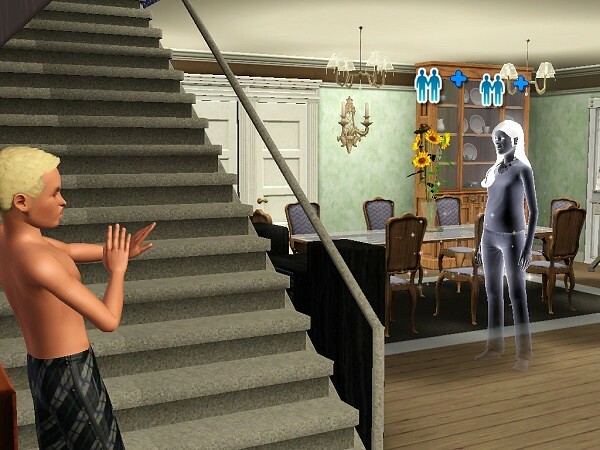 I hate those stupid ghost reactions (along with simbot and the others), have modded them out of my game altogether. I love it! 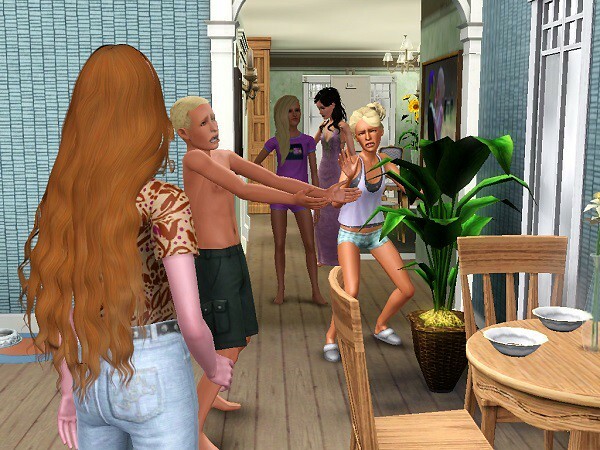 The attraction means something again, instead of your Sims heartfarting every other sim they meet. Yes, I was so undecided that Sansa got to pick her own husband – she’s one of the lucky ones, lol. Good thing she finally made a choice, too.